NEW YORK (VIP NEWS) — Sony Corp. has been considering a sale of its music publishing operation, according to a Bloomberg report on the latest leak of hacked Sony e-mails. In an email exchange on November 21, the potential sale is labeled as “top secret” and handled by Sony Entertainment CEO Michael Lynton, Sony Corp America president Nicole Seligman and Sony US CFO Steve Kober. The future of Sony’s music publishing arm was first questioned by Sony Corp CFO Kenichiro Yoshida on October 3 in an email to Sony Corp CEO Kazuo Hirai and Lynton. A presentation suggesting that the company was considering a sale was then included in a planning document sent to a number of Sony executives on November 21. 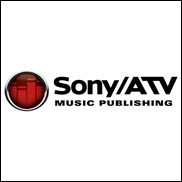 Sony/ATV, along with the EMI Music Publishing catalogue acquired for $2.2bn in 2012, gives Sony an estimated 30% share of the global market. Publishing accounts for around 14% of Sony’s music revenue. Sony/ATV is a joint venture between Sony and the Michael Jackson estate.